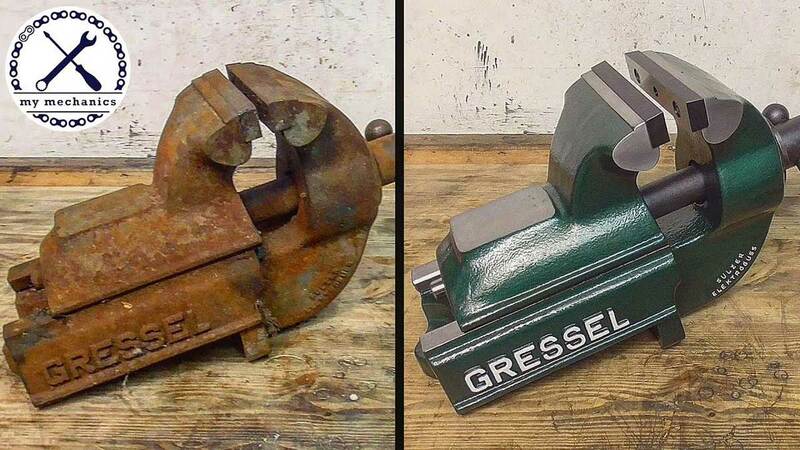 The host of the My Mechanics Youtube channel bought a rusted Gressel vise for $20 and made it look brand new again. It was fun to watch him restore this ugly boat anchor into a good-as-new vise. The rust was so severe that he had to make a tool to open the jaws. He also used lots of WD-40, an impact driver, a hammer, scrapers, brushes, a lathe, sandpaper, a grinder, a welder, a file, a drill press, a hand drill, a tap and die set, an oilstone, a screw extractor, and end mill, a sandblaster, degreaser, and paint. He also made some parts that had been missing from the original vise.